Oslo black metal band Sons Of Balour have signed to the Season of Mist label and will release their debut full-length on the label later this year. It would be even better if they actually existed. Or maybe it wouldn’t matter one way or the other. 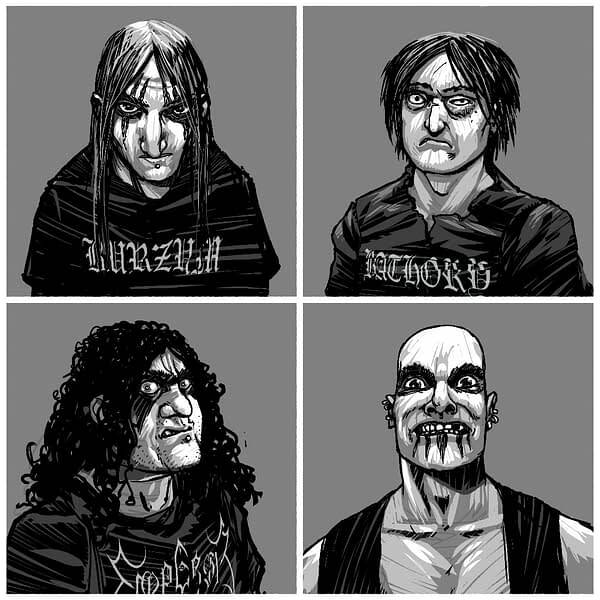 Their fictitious exploited to be detailed in their non-biographical comic Realm of the Damned will coincide with a real-world representation of the band, comprised of actual metal musicians playing the comic’s personas. And the album they will release. 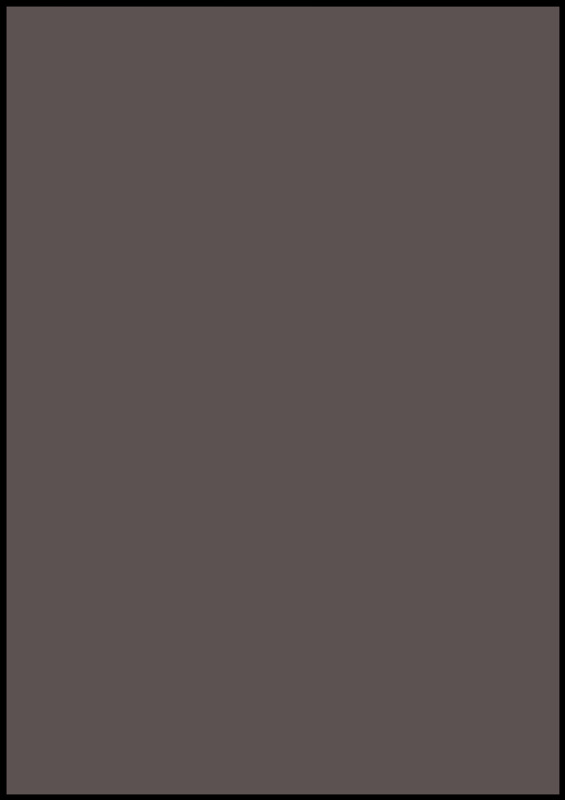 It’s basically Heavy Metal Gorillaz. This is an event like you’ve never seen! 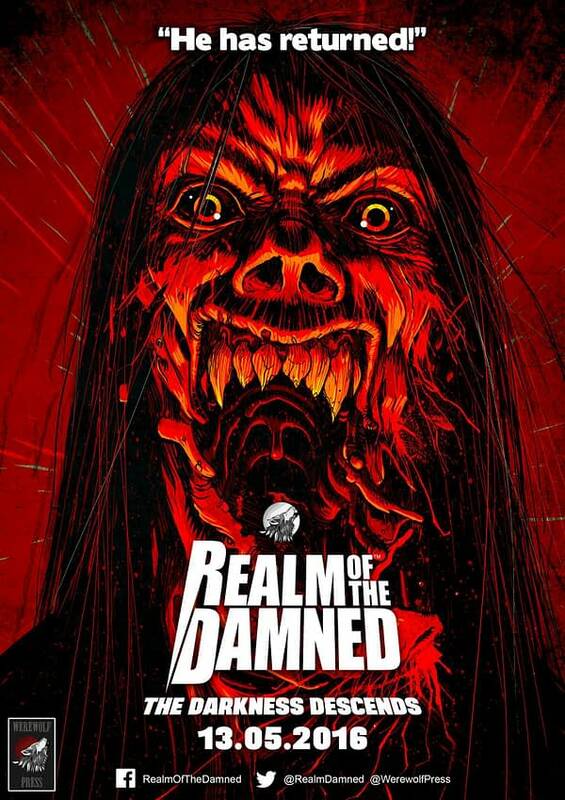 Join Alec Worley and Pye Parr signing THE REALM OF THE DAMNED at the London Megastore SATURDAY 14th MAY from 1 – 2pm – and see metal musicians THE SONS OF BALAUR as they take the store by storm! 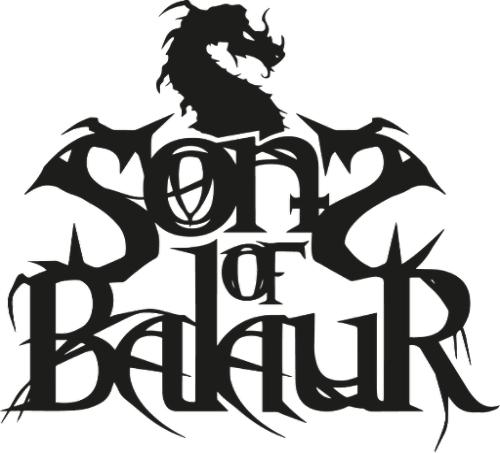 SONS OF BALAUR are a true kult black metal band based in Oslo, Norway. Formed in March, 1992, the band were part of the original first wave of Norwegian black metal – a notorious inner circle of underground artists who took music to extremes it had never previously reached. Started in secret, for obvious reasons, the band features some of Norwegian black metal’s most dedicated and shadowy personalities: Tomas (vocals, guitar), Markus (bass), Kristoffer (guitar), and Lars (drums). The band are true followers of the Dark Arts, and their songs are as much spells to the black forces of the underworld as they are music. The band’s recordings have been kept closely guarded within a tight-knit community of like-minded servants of the night, and remained unreleased in any official form until now. Their new album is an invocation of the dark vampiric overlord of chaos and death: Balaur. Lead singer Tomas (all surnames are withheld due to legal reasons) is one of black metal’s most infamous, yet secretive, personalities. Having burned down two churches (a centuries-old wooden stave church in Øksfjord, Norway, and a fortified church listed as a heritage site in Transylvania, Romania) Tomas has been imprisoned for arson, and has also been arrested twice on murder charges – though, in both cases, he was released as a result of insufficient evidence. The band members all knew each other as children – they all hail from the small town of Øksfjord in the very far north of Norway, inside the Arctic Circle. Even as teenagers, those who knew them said there was trouble ahead, and so there was: trouble at school, at home, with the police; it was an endless litany of turmoil. One notable incident involving Markus (bass guitar) resulted in him being detained in a juvenile prison, having been caught digging up graves and allegedly attempting acts of necrophilia with the corpses. He was fifteen at the time. As they grew older, the band members moved away from Øksfjord one by one, and played in an assortment of separate bands, all of which came to nothing – each of them feeling that their new bandmates simply showed no real wish to be truly occult and evil. They had not seen each other for some time when a fateful chance meeting at the legendary Helvete record shop in Oslo brought them back together. It would appear that destiny once again drew these dark souls to one another, for a shadowy purpose. This group of musicians ignored the rest of those who frequented Helvete – a gathering place and center of nefarious activity for all those involved in black metal’s inner circle in its early days. They had no interest in forging alliances with others, instead keeping themselves apart and sitting in each other’s company without uttering a word, until eventually Lars broke the deathlike silence between them, inviting Tomas, Kristoffer and Markus to form a new band – a band that would reign supreme and write the history of black metal as it would be known around the world in years to come. A band that would provide the soundtrack to the death of humankind… A band that would serve their lord and master as no other could… A band that would be the ultimate incarnation of Black Metal in Hell itself! They began rehearsing in earnest, and several demos were recorded – but none were ever officially released to a wider audience. These early years yielded such legendary recordings as: ‘To Summon Him’ (1993, unreleased, cassette only); ‘The Dark Lord Shall Rise’ (1995, unreleased, cassette only), ‘Bloodfrenzy’ (1996, ultra-rare 7″ single) and ‘The Equanimity Of Chaos’ (1999, unreleased, cassette only). ‘Bloodfrenzy’ is reputed to change hands for well over £1,000 on the underground collectors’ market, but the chances of a copy being offered for sale are unimaginably slim – the authorities have declared they will arrest anyone found with a copy in their possession, so it’s seldom that anyone has been known to publicly admit to owning what is probably the most controversial song ever recorded. The band have, until now, only played to secretive gatherings of the followers of the cult of Balaur, a vampire whose legends permeate the darkest recesses of Romanian folklore and sorcery. No one knows the real name of this legendary Carpathian predator. Known as ‘Balaur’ (the Dragon) for his demonic ability to breathe fire, he existed for a relatively short period in 15th/16th century Europe, feared among mortals and vampires alike. His origin is a mystery lost in time, though his bloodline was clearly mixed with ‘something else’ – a scion of House Petrova, Balaur remained a wild animal scything across the battlefields of Europe completely out of control, even fighting alongside the ‘Great Impaler’ Vlad Tepes. He did as he pleased, upsetting the Petrovas’ schemes, until it fell to his blood-sister, Athena, to make the decision to murder him for the good of the family. Following Balaur’s death at the hands of his sister, his loyal retainers retrieved a fragment of his body, which they revered as an unholy relic, dedicating themselves to finding a way of resurrecting him. This cult has endured for centuries, but has become a forgotten footnote in the occult history books – remembered only by the most dedicated acolytes. The band’s live shows are rumored to have included occult rituals, mass orgies, extreme violence, and even human sacrifice – with the ultimate offering being made in an attempt to summon the undead. More of a Satanic ceremony than a live black metal performance, these ‘gigs’ have been highly secretive, in an attempt to avoid attention from the vampire hunting organization (themselves extremely enigmatic) known as ‘The Congregation’. The band dropped out of public sight in the year 2000. Aside from each other, they had no close friends, so the rare reported sightings of the individual members are usually considered to be nothing more than urban legends. Rumors have persistently spread that they disappeared after traveling in the murky Transylvanian region of Romania – that they had been murdered, sacrificed at one of their own shows by competing followers of the vampire Balaur. The truth about what had become of SONS OF BALAUR, where they had disappeared to, or even if they still survived, remained a mystery… until now!